Today is Canada Day. 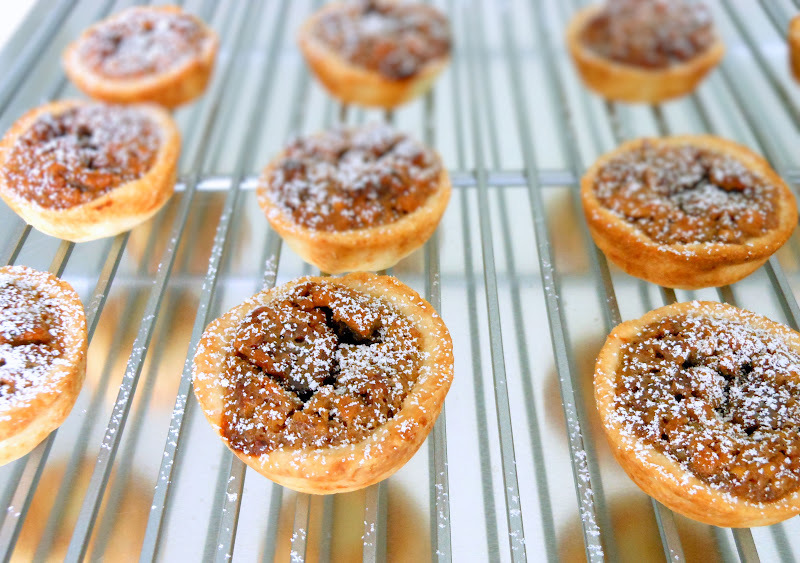 A perfect time to celebrate with some butter tarts. I wasn't a huge fan of butter tarts until one of my friends gave me this recipe. Once I tried the recipe, I became hooked. I love my butter tarts with less sugar but more nuts. In my opinion, handmade butter tarts always taste better than store bought. Also, it's fun to make them bite size. You need mini muffin pans. Place flour, salt and sugar in a food processor. Add butter. Pulse until the mixture resembles coarse meal. Add ice water, one tablespoon at a time until the dough holds together. Remove the dough from the food processor and place the dough onto a work surface. Wrap in plastic and refrigerate for about 15 to 20 minutes. Cut into rounds using a 2 1/2 inch cookie cutter. Gently place the rounds into mini muffin pans. In a saucepan, combine corn syrup and brown sugar. Simmer over low heat for 3 to 5 minutes. Add butter. Stir until mixed. Remove from heat. Cool slightly. Pour over the beaten eggs. Stir constantly. Fill the unbaked tart shells. 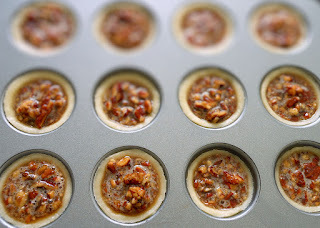 Makes approximately 48 mini tarts. Hi Evelyn!!! How have you been? Your mini tarts look fabulous! I can totally see why these are so delicious. 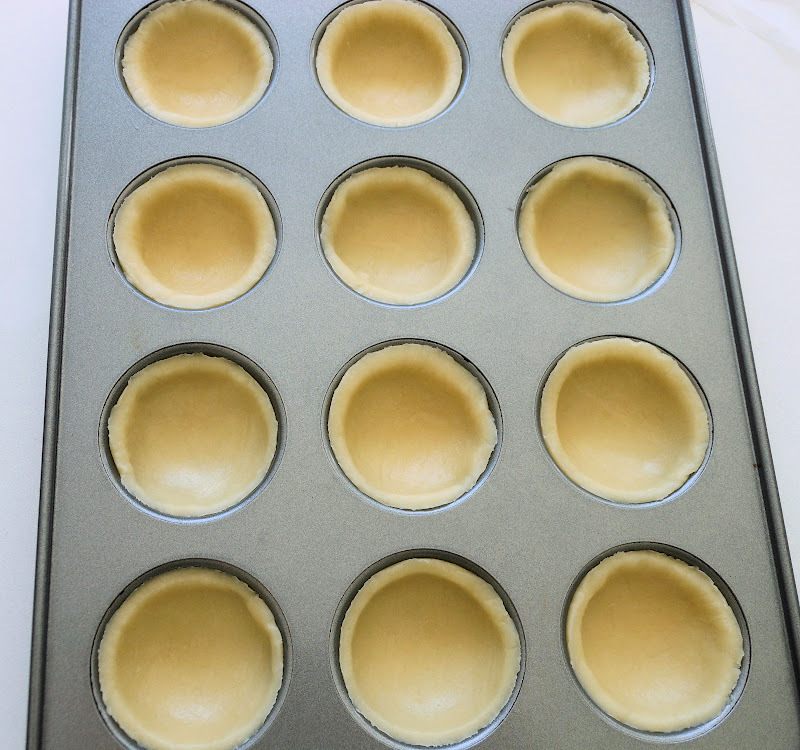 I love this size mini muffin pan but they are so clean as I barely use it... shame on me. I'd love to be able to make these on my own one day! Thank you Angie! You have great recipes on your blog.